The defected legislators of the Congress may request the Assembly Speaker to recognize their merger with the ruling party. The opposition Congress’ strength in the Telangana Assembly came down to single digits on Wednesday as its 10th legislator crossed over to the ruling Telangana Rashtra Samithi (TRS). 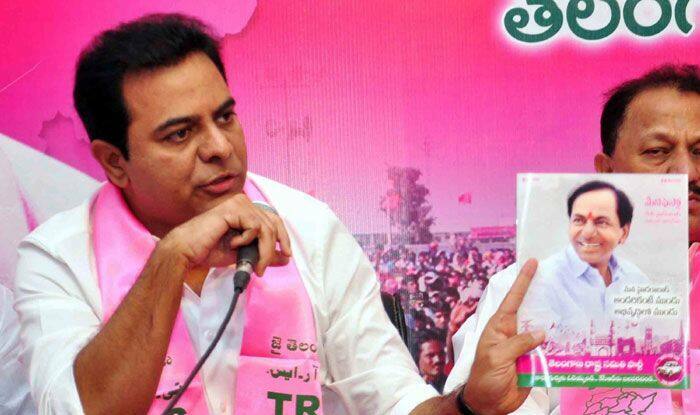 J Surender, who represents Yellareddy constituency in Nizamabad district, called on TRS Working President KT Rama Rao and announced that he was joining the ruling party. He said he decided to support Chief Minister K. Chandrashekhar Rao for the development of his constituency. Surender is the 10th Congress MLA to defect to the TRS this month. The TRS, which had bagged 88 seats in 119-member Assembly in the elections held in December, has crossed 100 marks with the defection of 13 MLAs, including one legislator of the Telugu Desam Party (TDP) and two independents. Under the anti-defection law, if two-third of the legislators of a party defect, they will not attract disqualification. The Congress may even lose the status of main opposition party as it requires 10 percent of the total strength of the House.